The Ohm portable speaker is quite a beautiful device. Its minimalist approach is soothing for the eyes and simply blends with the environment. Currently, it will be available in either white or black, both for the same price of $169.99. Its compact and convenient size makes it lovely to use and bring around where ever you may go. The Ohm portable speaker and its wireless charger are both made of a sleek looking plastic and silicone. The somewhat generic colors and materials may turn off a few flashy consumers, but for the ones that want it to easily match the things they have, it’s a great buy. This portable speaker has the word wireless all around it. 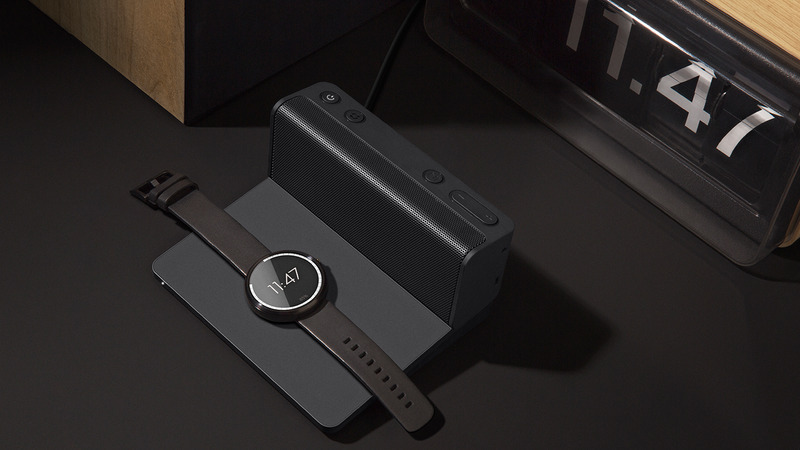 It comes with a wireless charger base that is slightly angled at the front for any Qi wireless enabled smartphones, and another wireless charger at the back for the portable speaker to charge. We may also add that this is a Bluetooth speaker with a radius of 30ft away from the transmitting device. 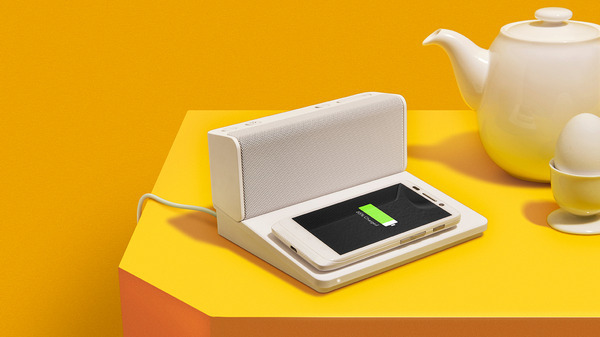 On the wired side, the Ohm portable speaker will have a 3.5mm cable for wired music playing, a micro USB cable for charging other devices without wireless charging or to have a faster charging rate, and a power cable for the wireless charging base. 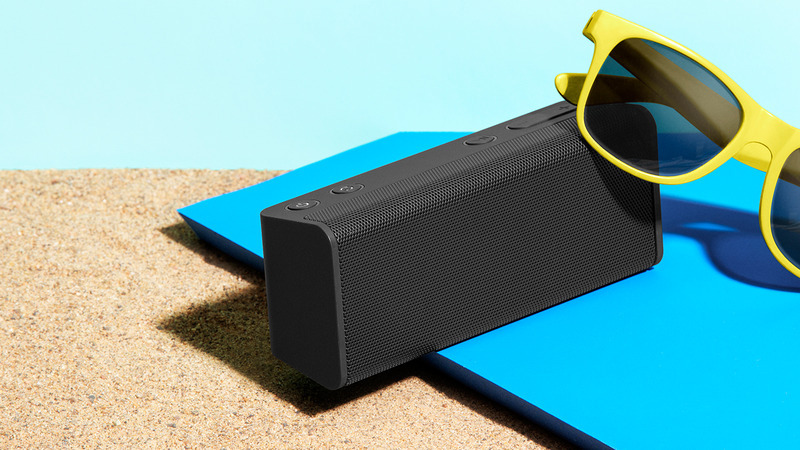 The Ohm portable speaker is said to be able to offer 6-8 hours of continuous playback on the go. Its battery capacity is not mentioned though. The estimated shipping date for the Ohm portable speaker will be on December 10, but you may pre order it now here for $169.99. Next articleQi wireless phone competition: You choose it!